Personal data protection is critical in today’s hacker-heavy world, and whether you’re connecting at Starbucks or at a destination hotel, your unprotected wifi activity is prime hacking material for legions of malicious digital minds. 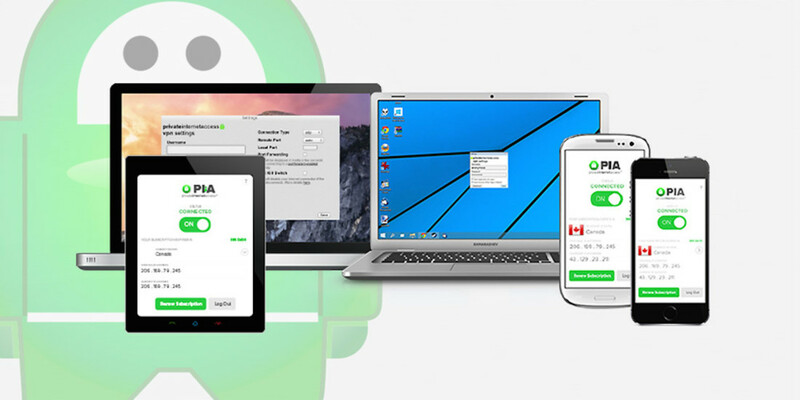 Protect yourself concretely online with a two year subscription to Private Internet Access VPN, available for just $59.95 on TNW Deals for a limited time. VPN stands for Virtual Private Network, a set of technologies which enable a computer to connect to a private network via Internet (or other public network) and exchange data with other computers on that network securely as if it was physically part of it. It secures your internet access by eliminating all blocks, threats or regional restrictions – a true benefit in today’s ever-connected world. Connecting to public hotspots, such as those at your local coffee shop or a hotel, can be a risky prospect. But even your home network is prone to vulnerability. To close the access point, Private Internet Access VPN encrypts your data and hides your identity so that neither can be stolen by hackers, with the option to utilize 5 devices simultaneously. Your two-year subscription offers unlimited data transfer speeds and unlimited bandwidth, so you can stream all the movies and music you want from subscription services, plus you can unblock geo-restricted content from all over the world. That means unlimited access to Netflix, Hulu and beyond. And if your VPN connection is unexpectedly terminated for any reason, a kill switch will stop traffic immediately, all the while protecting your identity with several layers of privacy measures. Take 63 percent off the Private Internet Access VPN: 2-Yr Subscription offer, for a limited time on TNW Deals.